Spring preload is an important, but often misunderstood concept and this article is going to clear things up. Preload is a measurement of how much a spring is compressed at full extension of the shock. Thread the upper spring adjuster down until it just touches the spring, you are now at 0″ of preload. 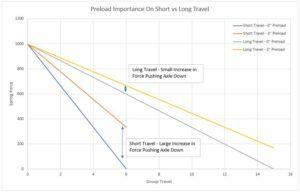 Every inch you thread it down from there is 1″ of preload. With a 1.0 Motion Ratio that also lifts the vehicle 1″. With a 0.5″ motion ratio that lifts the vehicle 2″. If you want more lift and have the correct amount of preload then you’ll need stiffer springs. If you want less lift then you need softer springs. Preload is independent of spring free length. 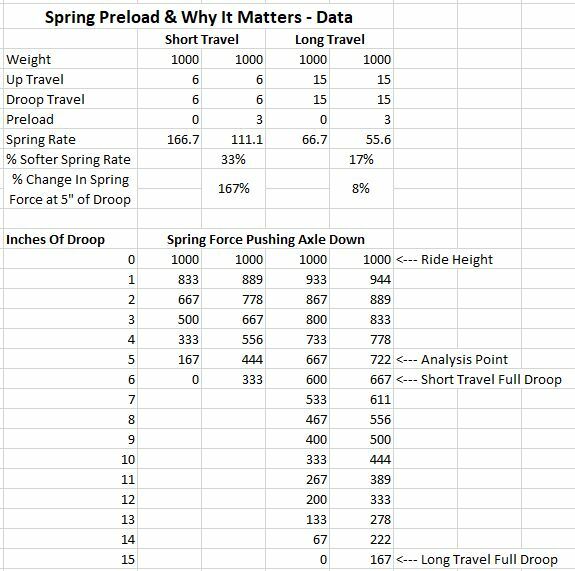 An 18″ long, 100 lb/in spring with 1″ of preload will give you the same ride height as a 10″ long, 100 lb/in spring with 1″ of preload. In both cases you’ve applied 100 lb of force before the vehicle weight collapses the spring. Because spring rates are the same each spring will collapse the same amount under the weight of the vehicle. The result is the same amount of ride height. 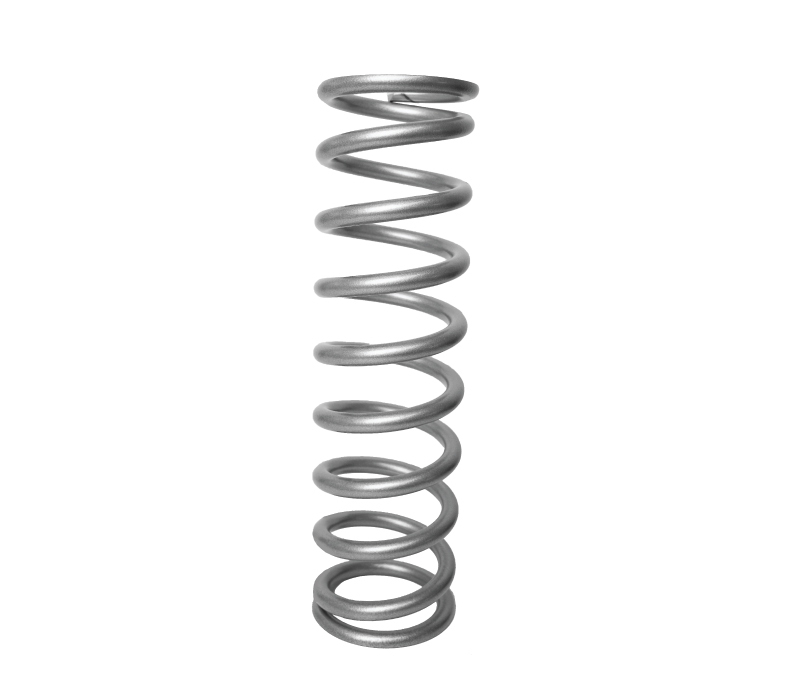 The only time spring length can affect preload is if there aren’t enough threads on the shock to get the desired preload, or if the springs will go to coil bind. Everyone thinks about what happens when springs compress, but it’s also important to think about what happens when they extend. Spring preload pushes the tire down and makes the suspension work. On big bumps at speed the spring preload pushes the tires down to better follow the terrain and make a smoother, more controlled ride. 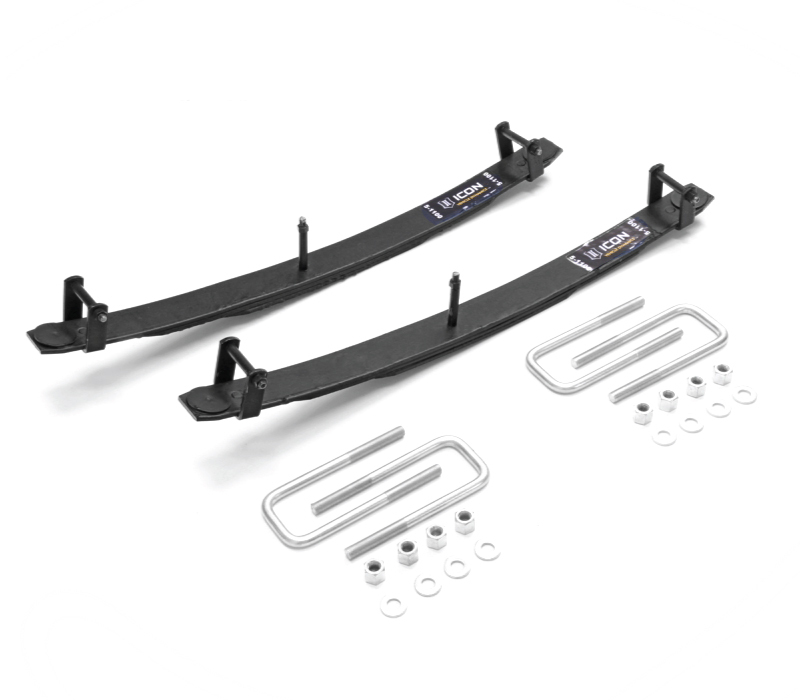 Under articulation the spring preload increases tire contract pressure improving traction. “Springs Just Hold The Vehicle Up” is a common saying stemming back to long travel off-road race trucks. 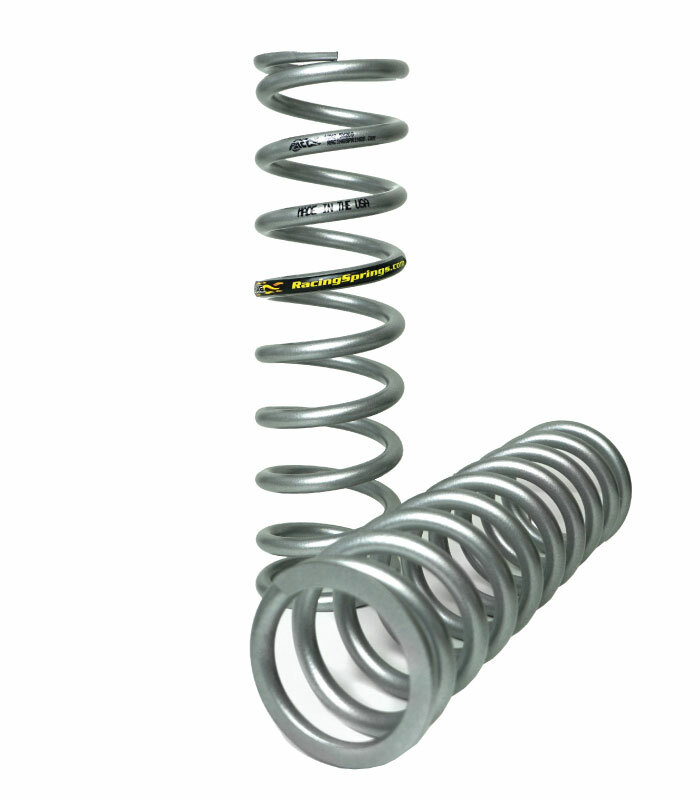 For suspensions with 15+” of droop the springs are already very soft and changing preload has very little impact on spring force. A shorter travel vehicle with 6″ of droop will see a much larger change in spring force from an equivalent change in preload. 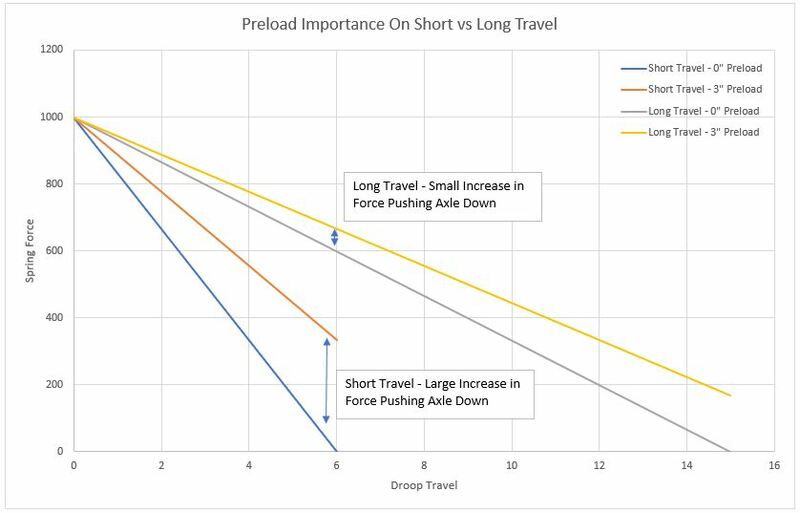 As seen on the graph below, a long travel desert truck going from 0″ of preload to 3″ of preload only results in an 8% increase in spring force at 5″ of droop. While a more standard vehicle will see a 167% change in spring force for equivalent change in preload. 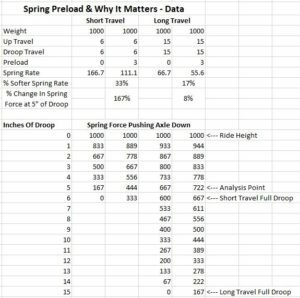 So as you can see accurate spring preload becomes much more important on shorter travel setups. The concept that “Springs Just Hold The Vehicle Up” has some merit on long travel setups but is not true for short travel and mid travel setups. Can You Have Too Much Preload? Springs work in both extension and compression so too much preload makes the springs too soft on compression. When this happens we have to compensate with shock valving and sometimes that can lead to harshness. We look at suspension as a complete package and every piece of it has a purpose and it all needs to work together. When you have too much preload the springs can’t do their part. How Much Preload Should I Have? For most applications 1″ of preload in the front, and 2″ of preload in the rear is a good starting point. If you’re purchasing springs from us we also check other factors to make sure you have the ideal spring rate. As a result we do break this guideline. Some vehicle specific applications do have different preload requirements. 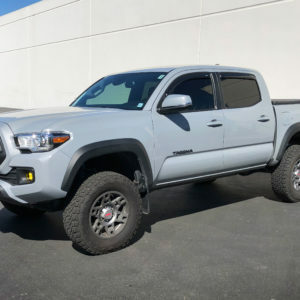 For example Toyota Tacoma’s and 4Runners generally run 2″ of preload in the front. 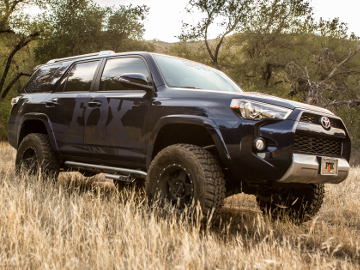 With the standard aftermarket 600 lb/in springs there is some adjustability in the Tacoma and 4Runner Coilovers. But heavier Toyotas require installing 650 lb/in and 700 lb/in springs to achieve ride height. 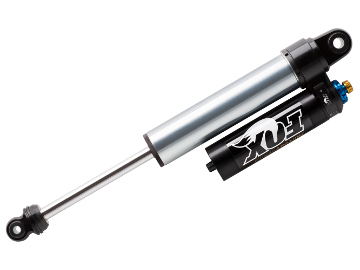 When installing the heavier springs the adjustability of the preload is substantially reduced. There is very little room on the body to reduce preload, and the springs go coil bind if you add too much preload. As a result it is important to choose the correct springs for the weight and lift height of your Tacoma or 4Runner. Luckily we can help you choose, and we offer free spring swapping if the rate isn’t correct. Spring preload is very important on shorter travel vehicles. 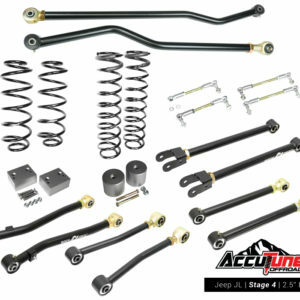 Make sure you buy springs from a company that offers free and unlimited spring swapping (like AccuTune Off-Road 🙂 ). 1″ of preload in front and 2″ of preload in the rear is a good starting point, but some suspension systems require breaking the “rules”. 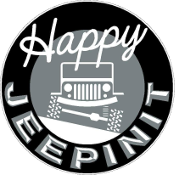 Give us a call for all of your spring needs!